Director of ground-breaking UK school of nursing and midwifery joins Oxford Health Council of Governors to tackle workforce challenges. Dr Mary Malone, director of Oxford School of Nursing and Midwifery at Oxford Brookes University has joined Oxford Health NHS Foundation Trust’s Council of Governors. Dr Malone is director of the Oxford School of Nursing and Midwifery, a unique partnership between Oxford Health NHS Foundation Trust and Oxford University Hospitals NHS Foundation Trust under the umbrella of the Oxford Academic Health Science Centre (AHSC). The school combines education, clinical practice and research across the nursing, midwifery and allied health professions. It has a focus on increased collaborative working and sharing best practice, and has been developed to better meet the challenges of a significant period of change in nursing and midwifery education. It is the first of its kind in the UK and takes inspiration from similar models at the world’s two highest-ranking nursing schools University of Pennsylvania and John Hopkins University in the USA. Dr Malone is one of eight governors appointed (as opposed to elected) to the trust Council of Governors to share insight and perspectives from local organisations and charities. Her appointment comes as the NHS nationally faces a retention and recruitment challenge. 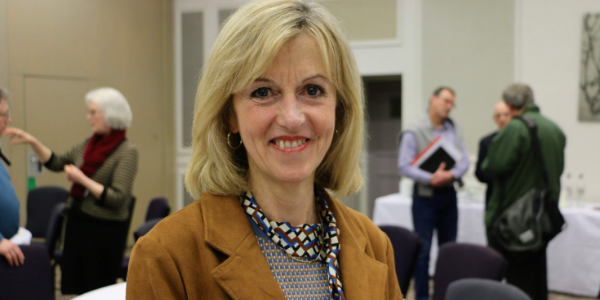 She said: “Being a governor at Oxford Health is a unique opportunity to work in partnership and really develop nursing and midwifery for the 21st century. “It provides a real insight and understanding into the mental and physical health needs of Oxfordshire which we can bring to education so we can have a more meaningful offer for people coming to us for a nursing education. We really want people to come through and contribute nationally, globally and to Oxfordshire which I know many do. “We have to think strategically about the core opportunities we are opening up for people. I’d very much like to contribute to work around the workforce that’s going on and also, if I’ve got the capacity to do so, to be part of the staff experience and patient experience work. Right now Oxford Health is inviting nominations from patients, carers, staff and members of the public who would like to be a governor at the trust. Governors represent the members of their community and can directly influence the strategic direction of the trust and NHS care in their community. You don’t need any formal qualifications to become a governor but must be 16 or over, live in England or Wales, and be a member of our trust. To find out more visit www.oxfordhealth.nhs.uk/elections.